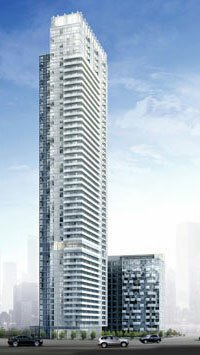 Experience Three Hundred Front Street West. Featuring short term furnished rentals in downtown Toronto and mere steps to Toronto’s most popular attractions and destinations. Located in the entertainment district, find yourself at the heart of the city. You will have a wide selection of the finest dining, shopping, night life and entertainment. Access the rest of Toronto with the TTC, Union Station and underground P.A.T.H. nearby. Guests are within walking distance of famous downtown Toronto attractions including the CN Tower, Ripley’s Aquarium, Rogers Centre, Roy Thomson Hall and the Metro Toronto Convention Centre. Our short term rentals in Toronto are thoughtfully appointed to cater to the modern traveler and accompanied by second to none amenities including an infinity outdoor rooftop swimming pool. Tridel’s 300 Front Street West offers a sanctuary of luxury and close to anything your heart desires. „äBuilding is monitored by surveillance cameras, heat detectors, hard wired smoke alarms, a computer controlled access system, and an electronic communication system. „äGuests are provided emergency response key chain pendants that provide instant contact with security.